FUSION ID Badge Design is ideal for designing and producing professional looking, low cost ID Badges. BadgeMaker is a flexible application so it can be used from a single site to an enterprise wide solution covering many sites connected via the user's own IP network. Multi-site support enables ID photographs to be captured and badges printed from any number of locations, all sharing the same database. Choice of image capture tools, including Digital Camera, CCTV camera or Live Video. Custom card design lets you create different layout for different groups or departments. A change in company name or logo can be incorporated into the ID card design at no cost. Support for a vast array of printers – print colour or black and white and single side or duplex printing. A lost card doesn’t mean lost time as the employee does not have to take time off to get their photo retaken. Reprint the card with the image already stored in the computer. Wizard Support to automate design and printing of ID badges. Client Server Support so you can share information throughout the organisation. 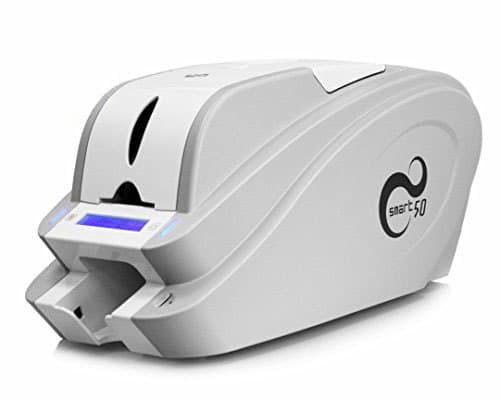 Its multi-level password security ensures that only authorized personnel can build or modify card designs, or alter database information. Custom Badge Designs including company logos, custom graphics and background image. Add Security to your Badge Design by including features such as rounded corners on the border of the photograph, ghosted image on the background design, transparent text box with text overlapping the edge of the photograph, watermark effect, etc. Choice of Printing on ID cards using PVC dye sublimation card printers or on printed labels using low cost colour ink jet printers. Choice of Image Capture tools including live video from an IP network camera, digital camera or webcam. Support for all Windows fonts as well as most popular barcode formats. 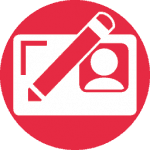 Multi-user Support enables ID photographs to be captured and badges printed from any number of sites. Password Security stops tampering with existing badge designs. Support for Unlimited Numbers of badge designs.